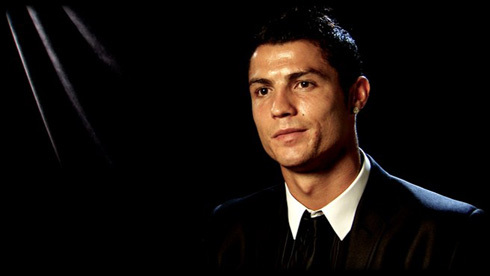 ﻿ Cristiano Ronaldo: "We have to win the UEFA Champions League or La Liga"
09.09.2011 » Cristiano Ronaldo: "We have to win the Champions League or La Liga"
Cristiano Ronaldo had another interview with UEFA.com this Thursday, where the Portuguese ace gave a few insights on what Real Madrid needs to accomplish this season. 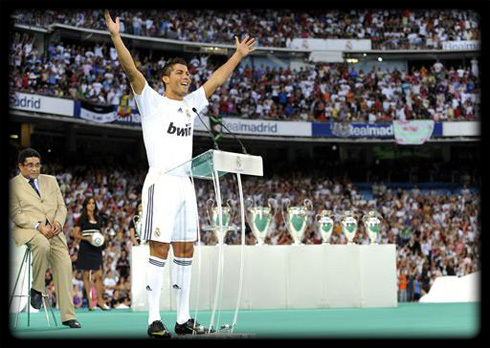 Ronaldo thinks that Real Madrid need to win the UEFA Champions League or La Liga in the 2011-2012 season. Cristiano Ronaldo is aiming for the big titles this season. CR7 granted another interview to UEFA.com this Thursday and underlined that Real Madrid should win the UEFA Champions League or the Spanish "La Liga" this year. The Portuguese player had a tremendous 2010-11 season, breaking several all-time records, but only managed to win one title, the "Copa del Rey" in Real Madrid's campaign last year. Despite many speculation towards a potential discomfort and unhappiness from CR7's side for being in Madrid, Cristiano Ronaldo was keen to note once again that he is very happy in Madrid and he loves the club and the fans. Ronaldo also insisted on praising his teammates and reckonizing how important they are for him to also put on good performances on the field, which allow him to keep making History and break several records. Cristiano Ronaldo: "Being in a club as Real Madrid definately helps a lot. With so many good players around us, things can only go well, because we all support each other. This teams gives me guarantees that I can play at my best level and keep scoring goals that turn out to be important for Real Madrid." Cristiano Ronaldo hinted how ambitious he is for next season, by revealing his expectations in what titles concerns. Ronaldo: "I must confess that as a team, we still have to need an important and big trophy such as the UEFA Champions League or La Liga, because that is indeed, the result of success in this sport. The UEFA Champions League can be the biggest reward of a great season for a football player, since it's one of the most important titles and trophies in the World. I had the chance to win that trophy in 2008, while playing in Manchester United and that was the best moment of my football career so far. My wish these days is to repeat that accomplishment with Real Madrid in a near future." In the meanwhile, Ronaldo documentary and film: Cristiano Ronaldo tested to the limit, was broadcasted last night in Sky Sports 2, in England. We'll try to put it online on this site, as soon as it becomes available on the web. This is a Castrol EDGE documentary on Cristiano Ronaldo, that attempts to show the World why the Portuguese player is such an unparalleled athlete. We would also like to take this opportunity to invite you all to visit a highly devoted Cristiano Ronaldo fan site, where you can access more of CR7 news and media contents, since it's updated almost on a daily basis. Real Madrid will play again for La Liga against Getafe, next Saturday, 10th of September. You may watch Real Madrid vs Getafe online, in our Live Games Streams section. Cristiano Ronaldo is expected to be on the line-up against Getafe, in the Santiago Bernabéu. The countdown clock timer, displaying the time left for the next Ronaldo game, is shown on the top right corner of all pages.